Oh, man. 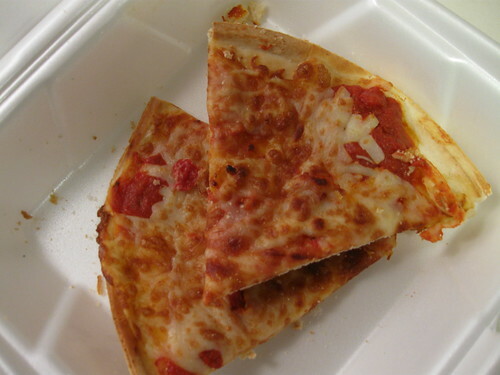 I'm so dissapointed to hear about the Uno's pizza. I was going to go this weekend and try it myself. Now, not so sure! The last time I went to Uno's, I had a greasy burger slapped on a plate with a side of greasy mashed potatoes. Yuck! Maybe I'll just stick to Outback Steakhouse..they are excellent with their GF menu in the Albany area. They even serve warm, GF whole grain bread loaf and GF hamburger buns at ours!!! It's awesome! Mmmmm I LOVE Outback, but haven't been since going GF. I know they have the GF menu, I wonder if they have bread at the one near me. I'm going to have to check it out soon!! You might want to give your Outback a call before going and ask about the GF bread. One time we went on a Sunday afternoon and the very apologetic waiter told me that they had run out on Saturday! I still had a great meal, but I so missed the bread! The last time we went, we had the same wonderful waiter and he actually gave me a whole, fresh little loaf to bring home! Good luck and let me know what you think if you go!